Canon Launches New Cameras For Their 80th Year! Home / cameras / canon / news / Canon Launches New Cameras For Their 80th Year! In their recent #Canon80Smiles event at Resort World Manila, Canon Philippines celebrated their 80th year in PH and announced exciting upcoming products! 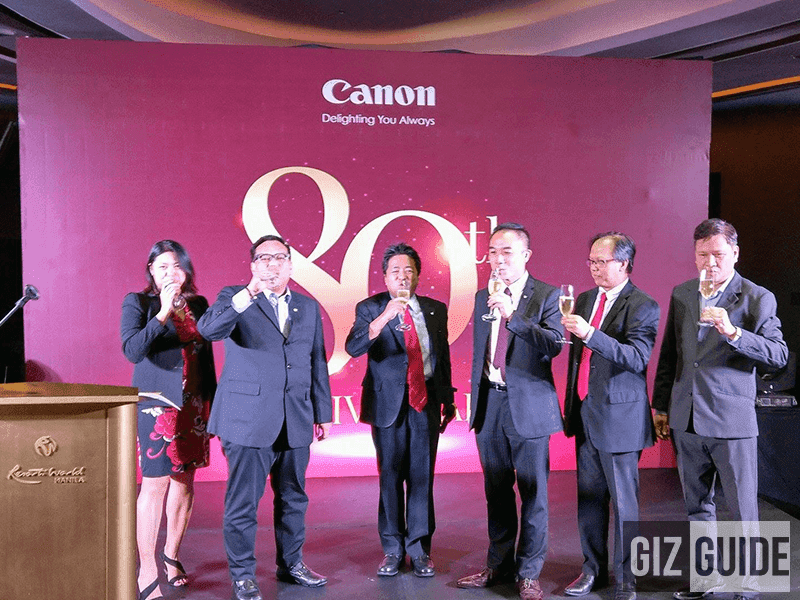 Canon Marketing Philippines proposes a toast for their 80th year! One is the much awaited Canon PhotoMarathon on October 21, 2017. This highly-anticipated photography competition will challenge participants to create masterpieces in with themes under time pressure with the twist of bing bigger and better as it now extends to mirrorless category. Participants can join simply by registering their canon cameras through Canon Imagination Philippines website or the Canon Red App, filling out the contact information and paying a participation fee of Php 500. Registration runs from the 8th of September up to 9th of October 2017. Technology & Solutions Expo, Leadership & Productivity Workshops, and On-going government partnerships are already in place in line with Canon’s efforts to help local industries to streamline processing and simplify operations that can bring delight to Canon’s customers. The emerging number of Filipino Photography enthusiasts and hobbyists who seek to sharpen their skills to capture memorable smiles and experiences. In line with this, Canon Marketing Philippines will conduct a series of Thematic Workshops for them that will target several specific fields of photography like food, fashion, beauty, art and landscape with photography professionals, ambassadors and influencers and camera clubs. The new Canon 6D Mark II! To end the night with a bang, CMP announced two of their latest products! The New Canon 6D Mark II and the Canon 200D DSLR cameras! The Canon 6D is the clear show stealer with its 26.2 Megapixel CMOS sensor with eye level pentaprism that projects 98% coverage that is complemented by a 1.04 million dot 3 inch touchscreen monitor. It has the reliable and accurate Dual Pixel Autofocus technology along with ISO native range of 100 and up to 40000 that can be pushed to ISO 50, 512000 and 102400. The shutter speed can go as fast as 1/4000th of a second and can be as slow as 30 seconds while the he Canon 200D serves as an entry level APS-C camera that serves to entice new comers who want the best image quality from a DSLR at the smallest size possible. The price and the release date for both cameras are to be announced soon! Stay tuned for the latest news and reviews. UPDATE: The Canon 6D is priced at Php 119,998 for the body only and with the 24-105 F4 Kit lens at Php 172,998! 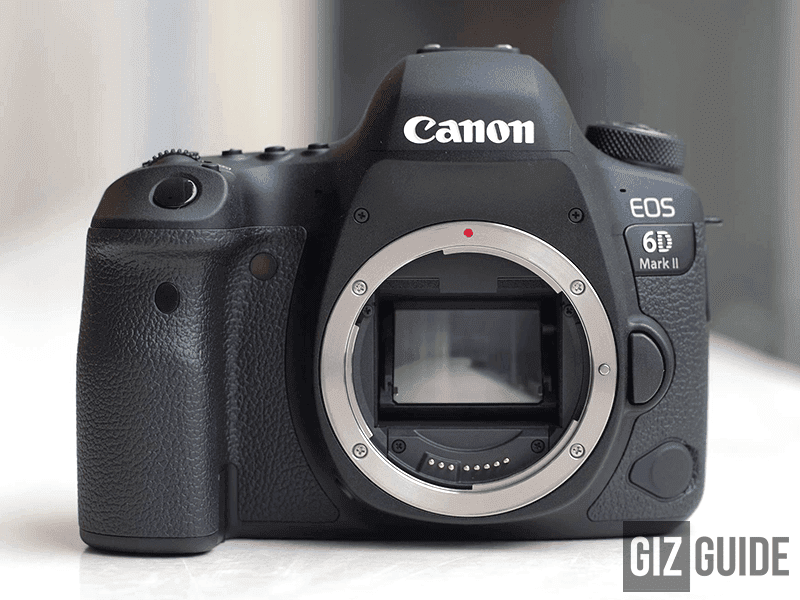 Meet the latest Canon 6D Mark II. Applicable 24 mos for Metrobank, Citibank, and PNB. Download the Canon Red App to avail FREE cleaning of camera and lens, (2) FREE access to Canon Imaging Workshop and FREE registration to Canon Photomarathon!